I remember back in 2012 I made my first ever pledge to a project on Kickstarter, the Pebble Watch. Kickstarter had been around for about three years at the time, and was still a fairly new platform. Pebble was an amazing development at the time, predating any of today’s smartwatches by several years. Some analysts even believe that Apple began their watch development due to the success of Pebble’s campaign. By making my pledge on Kickstarter, I was able to be a part of something big. I was participating in a small community of people who all believed in the same vision for the future, and wanted to help bring about that reality. It was amazing. Fast forward to today and over $2 billion has been raised on the platform. Competitors like Indiegogo are still around, and other lesser known clones have made their way onto the market. Crowdfunding was once a place to support the bleeding edge. Now it is so well known and so saturated that the space is domained by marketing agencies looking for a quick cashout that it is hard for real innovation to stand out in the noise. The truth is, it isn’t 2012 and there aren’t any more Pebble watches on the platform. Instead, it’s 2017. Where is innovation happening, and how can I support? Enter the Initial Coin Offering, also known as an ICO. To fully understand the mechanics of an ICO, we must first understand the inner workings of its parent, Bitcoin. 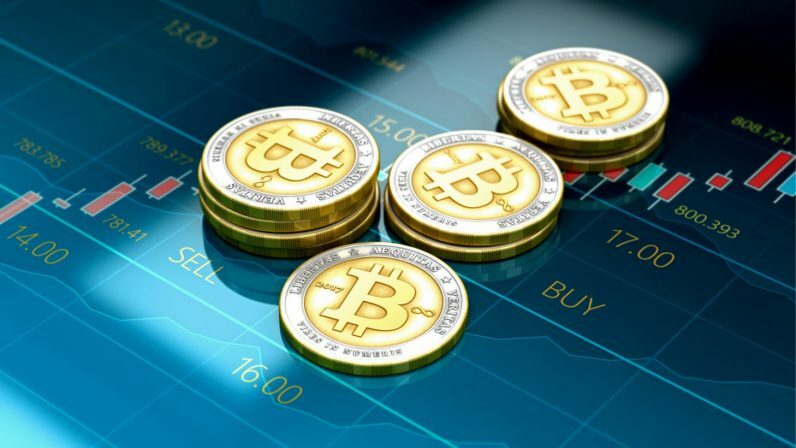 Bitcoin, as many are now aware, is a digital cryptocurrency that is secure and regulated without the need for a centralized body like a government or a bank. Until Bitcoin, the concept of online currency seemed laughable. In the same way that you copy and paste files with ease, it seemed like money made on the internet could be abused and duplicated all the time. The solution to this problem is the concept of an “open ledger.” Essentially all transactions would be scrutinized by the public, and there would be an ability for people to see how money flowed at all times. Those who were willing to donate their time and energy to constantly check that the records looked right and that the system was not being abused were called “Bitcoin miners,” and they had the chance of being issued new Bitcoin for their contribution. By having a reserve of Bitcoin just for distributing to miners interested in providing a crowdsourced method for maintaining the system, Bitcoin was able to incentivize a robust, decentralized platform. The Bitcoin holders were happy, because their coins were valuable. Those who put time and energy in the early cryptocurrency remind me dearly of those who helped make Kickstarter flourish. Every project on Kickstarter is a risk, and it may fail in the production stages. Nonetheless, the widespread investment from the masses would be rewarded with something of value: a product that was unique, cutting edge, and couldn’t be found anywhere else. That same concept can be applied to the recipients Bitcoin. Now that the project has reached a success point, the backers are rewarded for their loyalty through the value of virtual coins. Initial coin offerings revolve around this idea. Just like how a core function of Bitcoin was tied into the coins rewarded to miners, many crowdsourced software innovations that are based on the same underlying technology as Bitcoin are relying on their coin systems to establish a working network effect on their platform. Take Ethereum for example. Instead of directly serving as currency for trading, Ethereum wanted to be a platform for secure, verifiable contracts. To do this, they implemented their software using the underlying technology known as blockchain to leverage the same benefits that brought Bitcoin to success. However, to establish the value network that Bitcoin managed to build with their mining concept, Ethereum took a different approach. They directly sold their coins upfront. If you believed in their mission in the same way you might believe in a new, revolutionary product on Kickstarter, you could put your money forward with others to bring new technology to life. Other new blockchain technology, such as Aigang.Network, have yet to have their ICO and are still in the preparation stages. Aigang, who plans on using Internet of Things (IoT) data combined with crowdsourced insights to provide more efficient insurance networks, will be launching their ICO on November 15th. If you’re like me and you enjoyed the rush of supporting groundbreaking technology from its earliest stages on Kickstarter, you’ll be carefully watching these new campaigns make their journey from the early ICO stages to a mature platform. Watching the transformations of Bitcoin, Ethereum, and hopefully platforms like Aigang in the coming months, makes you realize that being a part of the future can be as simple as being a part of the crowd. While it isn’t quite the same feeling as looking at a Pebble watch on my wrist, checking out my online wallet is still a pretty sweet feeling.